Maybe you listen to the Moth’s podcast on your commute. Maybe you’ve caught The Moth Radio Hour on WXPN. Maybe you’ve even read the best-selling collection The Moth: 50 True Stories. But tonight’s live event at Union Transfer is what the nonprofit is all about: people telling their stories live, in front of an audience. The GrandSLAM performers have all previously won Philadelphia StorySLAM competitions. Competitors include former Marine Jesse Berdinka, actor Lauren Logiudice, and writer Otis Gray. Philadelphia playwright R. Eric Thomas will host, and composer Ilan Isakov will accompany the show. 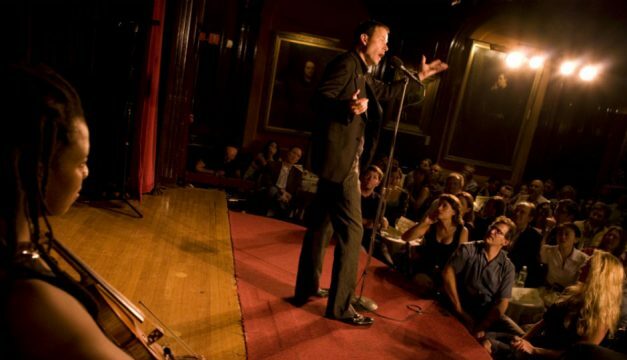 The Moth’s GrandSLAM is tonight, Tuesday, Feb. 23, doors at 7 p.m. Tickets are $25.